Our range of products include industrial product bags. These Industrial Product Bags are primarily used for storing industrial raw material like cement, rubble and sand. These bags are made using optimum quality basic material, latest machinery and production methods. These bags find their wide application in various industries for filtration purposes. These bags are also portable in transporting the raw material. We manufacture our range using premium quality raw material and according to the international quality standards. 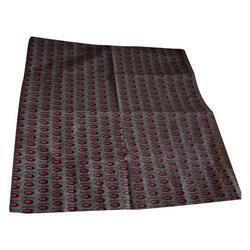 These bags are highly acclaimed in the industry for their high performance and durability.